Securities Attorneys at Gilman Law, LLP are investigating potential claims on behalf of shareholders of Shanda Games Limited (“Shanda Games” or the “Company” (NASDAQ: GAME)) over possible wrongdoing by the directors and officers of the Company stemming from the Company’s announcement that it will acquire the following affiliates from its parent company, Shanda Interactive Entertainment Limited – Shanghai Shengzhan Networking Technology Co., Ltd. (“Shengzhan”) and Tianjin Shengjing Trade Co., Ltd. (“Shengjing”). The two acquisitions were announced on Sunday, July 28, 2013, and are slated to close in the third quarter of 2013 for US$811.5 million (subject to customary closing conditions and adjustments). Shanda Games alleges that buying these two affiliates will help it deliver the type of integrated platform it considers crucial for mobile success. Notably, both Shengzhan and Shengjing are under the common control of the parent company, along with Shanda Games. Shengzhan owns the “Shanda Pass” database, which contains account information for gamers that is used to access games operated by Shanda Games, and maintains a customer service team, while Shengjing owns prepaid card distribution channels. Shanda Games’ board of directors, acting upon the unanimous recommendation of a special committee, approved the transaction. Is the Acquisition in the Best Interests of Shanda Games and Its Shareholders? From early May 2013 to July 28, 2013, the date Shanda Games announced the acquisitions, the Company’s share price had doubled. On July 29, 2013, however, the day after the announcement, the Company’s shares crashed by 21.4%. And since the announcement on July 28, the Company’s shares have plummeted 37%. The share price plunge could be due to a variety of factors related to the Company’s decision to acquire the two affiliates, such as the market seeing the deal as a poorly-priced transaction, or viewing it as evidence of the risks posed by Shanda Games’ unique and not-so-independent ownership structure to shareholder interests. What Can Shareholders Do About the Plummeting Share Price? Directors and Officers of Shanda Games may have breached their fiduciary duties in agreeing to purchase these two companies from its parent. Hence, shareholders have the option to file a derivative action in order to determine whether these acquisitions are in the best interest of the shareholders. 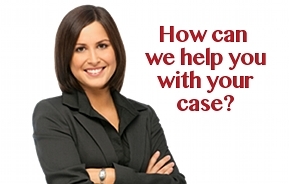 If you are an investor in the Company and are interested in learning more information about your rights and the potential remedies for your investment losses, you can receive a free consultation by contacting Ken Gilman at 1-888-252-0048, or complete our online contact form. 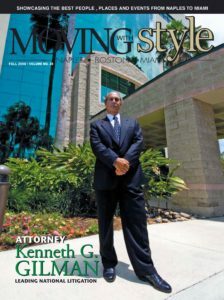 Gilman Law LLP, a leading national law firm with offices in Florida and Massachusetts, has been recognized for delivering successful results to their clients across a broad range of claims, including securities law violations, derivative actions, antitrust matters, and class action lawsuits. For over 40 years, the Gilman Law LLP team of highly experienced lawyers has earned renown for tireless work on behalf of their clients on many of today’s most challenging and important legal issues.